Stephanie and Gina are probably on a plane by now leaving Hong Kong and heading back to LAX. 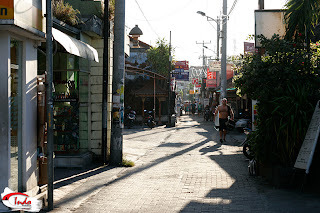 We ended the G1 trip with a couple days in Kuta after leaving Lembongan island. If there was one word to describe Kuta on Bali, it'd have to be GILA (means crazy in Indonesian). With thousands of mopeds and hundreds of cars all sharing the narrow roads of Kuta, it's really amazing that you don't hear the ambulance siren every minute. Yes, this a road that is NOT one way! Poppies I. Lucky for all of us, we didn't suffer to the wrath of the traffic madness here. Instead, we spent the last two days enjoying the epic sunsets at Kuta Beach. 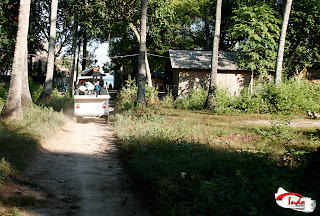 Ramon and Jack took good care of us while we chilled on the beach with Bintangs. Look for them in front of the McDonalds on Kuta Beach. Tell 'em Manny sent you. They'll take care of you. Gina did some of her final shopping on the beach. Note to self, don't bargain with the blow dart gun salesman while drunk. Gina ended up buying two of 'em. Cool gifts but I doubt she would've bought them otherwise. Steph picked up a few bracelets from friends as well. Gina decided not to buy the bow and arrow! Not sure what they're looking at. But on Kuta Beach you're bound to get surprised. We met a cool group of Aussies on Lembongan and we shared more time together laughing and joking in Kuta as well. Jay, Jane, Adam and Kim were some of the coolest people we met on the trip. On the second sunset Kuta Beach session, we all met up for one last time. We rented boards and we all got some waves. Stephanie tried the surfboard but ended up catching more waves on a bodyboard. 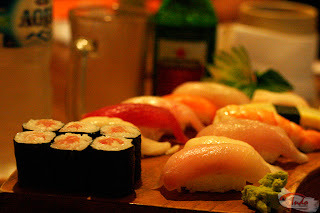 We then met up with them for sushi at Kunti II. Good times. 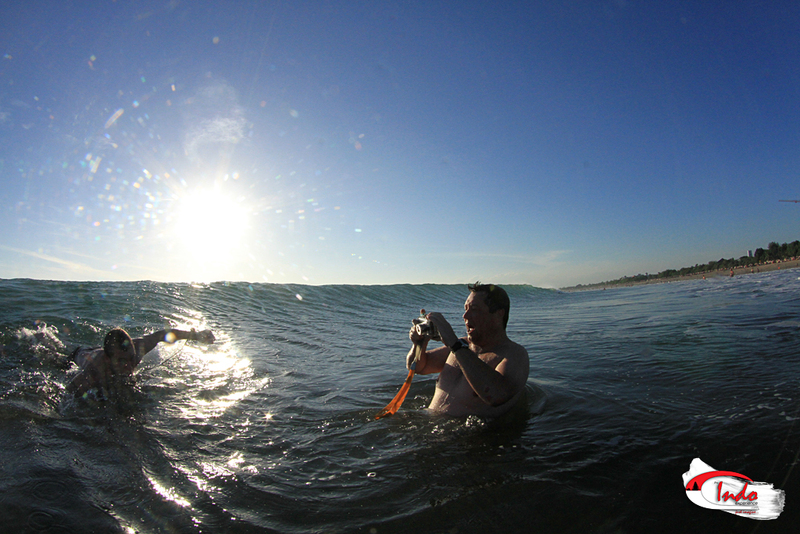 Jay getting the shot of Adam at Kuta Beach. Stephanie drops in with some skills. Mailei and I want to thank Stephanie and Gina for letting us show them paradise. Safe travels and yes... slide show and video party when we get back. Thank YOU guys for an amazing time! I <3 Bali! Thanks all to the Indo Experience!